Submit blogger sitemap to webmaster tools is important part of Search engine optimization (SEO). If you want become a successful blogger, then you must need organic traffic ( the visitors who come from search engine like google or bing). When you update a new posts on your blog, your sitemap helps to index them easily in search engines (ex, google, bring). This is what we are going to discuss in this post. You'll learn from this post how to add blogger sitemap to Google Webmaster Tools. Submit blogger sitemap to webmaster tools may help you get huge number of organic traffic. Today i am share this tutorial that help you submit your blogger xml sitemap 2016 in various webmaster tools, specially Google webmaster tools. With out organic traffic you couldn't success on you blogging career. Submitting sitemap on various webmaster tools could help you get more organic traffic on your blog. In below i discuss step by step how to add new xml blogger sitemap on google webmaster tools 2016. There are important work of search engine optimization of your site, Submit xml sitemap to google webmaster tools is one of them. Some newbie bloggers, looking for many tips of SEO and how to increase blogger visitors. In this case google webmaster tools may help you lot. Today we'll learn how to submit blogger sitemap in webmaster tools. This is totally new process of 2016. Google Webmaster tools is a set of tools by Google, that help website's publishers to determine which they would like their site on search engines. It give you a proper report about how would like your posts and pages on search results. You can also see how many posts are indexed on search engine and you can also monitoring about your search keywords. Using webmaster tools you can monitoring how many visitors are click on your post and number of post's impression. That are help you developing your old published posts and encourage to write new article. Google webmaster tools, it also allows you to submit the XML sitemap, the specified URL will be canceled and give a detailed idea about your site to Google. Through it, you can learn more in a certain part of your site that Google can crawl and indexing are having problems. When you update a new post, then webmaster tools help search engines to indexing your new post. Below step by step discussed how to submit a xml sitemap on google webmaster tools. Carefully follow below all steps. Step 1: Firstly Sign in to Google Webmaster tools with your Gmail. 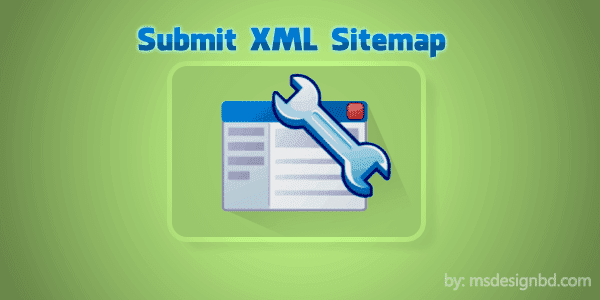 Step 2: Click on you site that you want to submit xml sitemap. Step 3: Now click on Sitemaps button. Step 4: Now click on Add/Test sitemap from top of page. Step 5: When you click on Add/Test sitemap button then another box will appear like below image. Step 6: Now type below code on empty text field box. 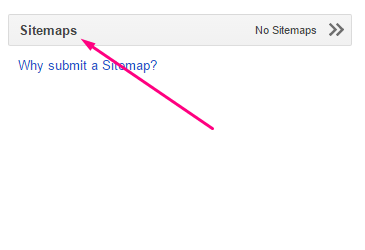 Step 7: Now click on Submit Sitemap button. Step 8: Now refresh this page and you're done. The sitemap that we submitted was xml sitemap 2016 for blogger. The xml sitemap is for search engines for crawling posts. HTML sitemap is for users that make visitors understand about your posts navigation. Very soon we'll publish how to add html sitemap for blogger in our blog. So friends, don't miss our all update. Subscribe now for get our updates on your email. Submit blogger sitemap to google can help google to index your all latest updates of your blog. This is a step by step and a video guide to submit blogger sitemap 2016. Hope this post help you and make understand about submitting blogger sitemap on webmaster tools. If you think this article is helpful, then do not forget to share this article on your social media. And if you have any questions or any problems, then feel free to describe on comment. I will try hard to resolve this. Thanks. এইভাবে সাইটম্যাপ submit করলে নাকি only 25 url indexed হয় ?? Jodi copy paste ee blog sitemap ee add kori taholee ki problem hobe?? Bro, Jab Hum Sitemap Submit Kr La Oor Huma Pher Sitemap Submit krni ho tou kia tareeqa kra ga.